There was a time when breaking the hour for 25 miles / 40km was a very prestigious target for time triallists. A 25mph barrier for 1 hour was a benchmark which required considerable effort to break. 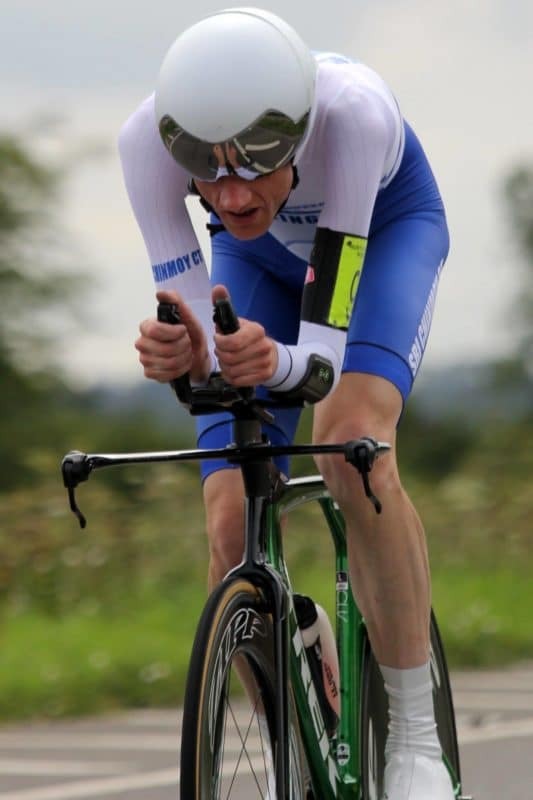 Modern technology – tri bars, aero frames, discwheels aero helmets have all helped bring the goal of a sub 1 hour 25 mile TT within the reach of more club cyclists. Also, riding on courses with passing traffic helps because there is a positive drag effect from passing cars. 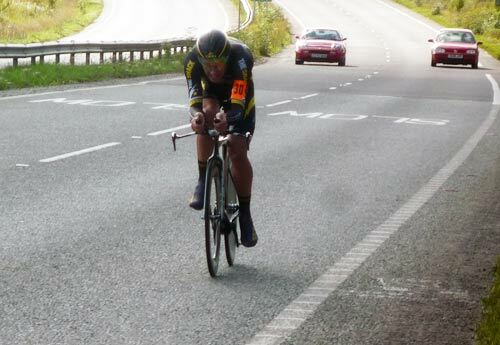 In fact you could argue that a sub 50 minute 25 mile TT is the new hour challenge. But, nevertheless, the one hour barrier remains an important goal for many and breaking the hour for the first time is definitely a good feeling. There is some dispute about the first person to actually cycle under an hour for 25 miles. 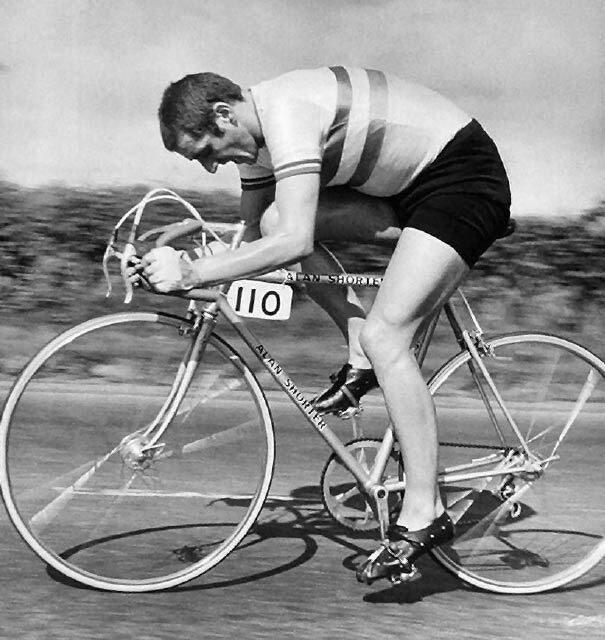 Some suggest the first person to break the hour for 25 miles was Alo Donegan in 1934. However, because of uncertainty over course distances e.t.c. it doesn’t have the lustre of say Ray Booty’s sub four hour 100 mile TT. Since 1934, the 25 mile record has steadily fallen. Just this weekend, Movistar Pro Alex Dowsett broke the 3/4 of hour barrier setting a new course record of 44:29 – 33.72 mph on fast course of the E2/25. That’s an average speed of close to 34 mph. Also, if you wanted to go old school and use just a road bike and rode on roads without any traffic, the sub one hour 25 mile would still be a real challenge. 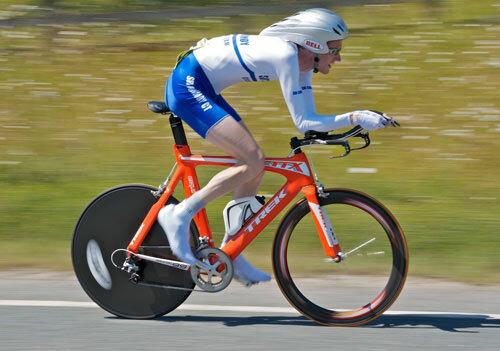 Aerodynamic aids and modern training aids have radically altered average speeds in time trials. Readers Question how can you cycle fast under 1 hour in 40km? With a base level of fitness, you can begin to work on speed work. Early season, I advise intervals of 5 minutes at race pace, with 5 minutes break in between. You need to get used to riding at race intensity. The recovery time will enable you to have more quality training in the higher thresholds. When you become confident with intervals, you want to try and ride these intervals at a pace which would be uncomfortable to maintain for one hour. It means you’re stretching your capacity and forcing yourself to increase your lactic tolerance, and general speed. If you have a power meter you can train at those power levels necessary to break the hour. If you like training on a turbo, you can do these 5 minute intervals on a turbo during late winter/ spring. If you can’t ride 10 miles at 25mph +. Try riding for 5 or even 3 miles at 25mph+ av speed. This will give you the confidence to ride fast. Racing is an excellent way to get faster. Graeme Obree was asked how he trained for breaking the world hour record. People may have expected complicated interval sessions, power output rations. Graeme replied – riding as fast as I could for an hour on my turbo ! This year I have not raced very much, and my times have been slower. Aero equipment makes it much easier! My time trial bike is roughly 2mph faster than my road bike. It costs money, but, it will make a difference. Note, you don’t have to worry about spending money on ultra light carbon fibre components – they will make little difference in flatish time trials. What is important is your position. But, also even with a time trial frame, you can make huge improvements in time from tweaking your position. I’ve listed many things which can help here. Note: some of them are quite cheap! It is important not to set off too quickly, but, maintain a constant pace throughout the race. Whilst maintaining a constant pace, make sure you push yourself hard enough. You shouldn’t be able to sprint for the line. You should feel the lactic acid building up in your legs. Also, there will be points on the course where you should make more effort. Uphill into a headwind, you should go a bit harder and use downhill / tailwind to ease off a little on power. Some 25 mile course are much faster. The R25/13 in Wales is the fastest, because the first 5 miles is down hill! In 2012, I did a 49.36 on a similar power output to another course, where I did a 54.49. H25/8 – A31 Bentley. Too hilly to be really fast, but I did a 50.49 on here similar date to doing a 49.39 on the Wales course, so it quite quick.